A month after we arrived here in Puerto Rico, we decided it was time to finally explore Old San Juan which is the oldest city in U.S. territory. This Caribbean island was founded by Christopher Columbus in 1493 and originally named San Juan after San Juan Bautista (St. John the Baptist). The island’s name was changed in the early 1500’s to Puerto Rico (rich port) and San Juan was retained as the town name. Originally conceived as a military stronghold, old San Juan is just seven square blocks with the 16th century citadel, El Morro, and the Castillo de San Cristobal Fort, as its’ main historical attractions. There are also other interesting architectural sights to see while walking around – the cathedral, city hall, the Capitol building a few chapels and churches. Several museums are also located in Old San Juan – the Art and History museum, the Fine Arts Center, Pablo Casals museum among others. 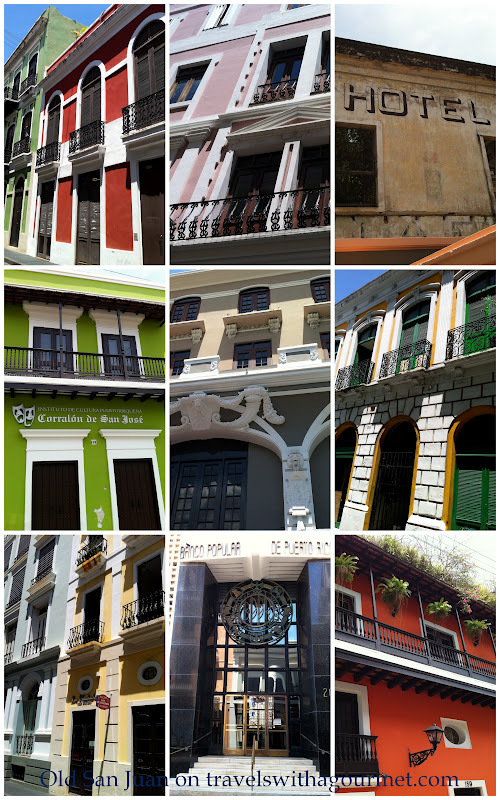 Small plazas serve as central areas in old San Juan where many restaurants and boutiques are housed in colonial buildings with colorful facades. Walking around the tiny streets reminded me of the cobble-stoned walkways of Andalusia in southern Spain. We explored for a few hours wandering around the main streets of Calle Fortaleza and Calle Cristo when we stumbled upon a fantastic little hat shop, Ole, specializing in Panama hats – perfect head gear for the searing Caribbean midday sun. 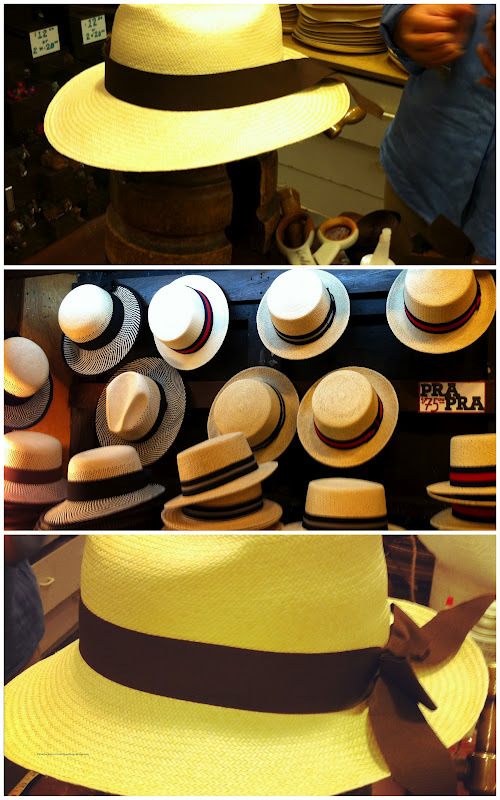 We looked through many of the hats they had on display and finally settled on a classic Panama hat which they fit to one’s head and customize with the ribbon of your choice. Setting off once more with cooler heads, we walked to Calle Cristo and had a look at the Hotel El Convento with its’ shady terrace and rooms overlooking the inner courtyard. By this time it was high noon and getting hotter by the minute so we decided to stop for some lunch at the Parrot Club, also on Calle Fortaleza. 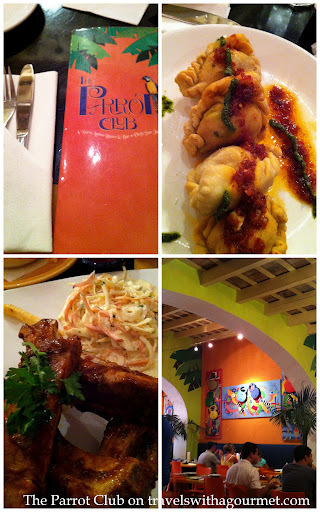 The first of the six restaurants from the OOF Restaurant group, Parrot Club opened in 1996 in Old San Juan and is right across the street from another trendy OOF restaurant, Dragonfly. The restaurant serves Nuevo Latino cuisine with dishes like empanadillas de churrasco (flank steak turnovers), ropa vieja nachos, and ceviche. We ordered starters only since the portions were good enough for a light lunch: St. Louis baby back ribs with crispy coleslaw, chicharrones de pollo – crispy fried chicken pieces covered in Caribbean spices, the empanadillas de churrasco y chorizo – crispy pastry cases filled with meat and sausage, quesadilla de queso fresco – filled with white cheese, and a Latin Cobb salad – the usual romaine, bacon and egg with the unusual hearts of palm, avocados and white queso fresco added in. We also had iced teas and cold lemonades – perfect after the heat. After our meal, we decided it was time to head home for a siesta and come back to old San Juan another day to explore the town more.